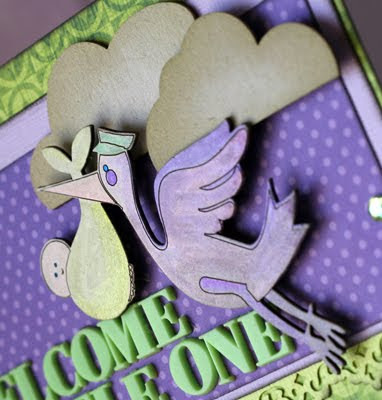 You can never have enough hand made cards around the place, I have a lot of friends that are pregnant and I love to give a gift with a hand made card. 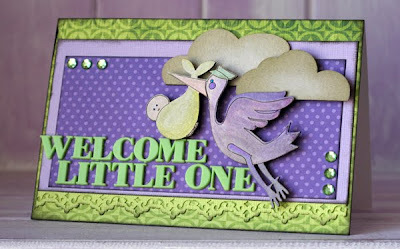 Here I have made use of a **NEW** design, the Stork with Baby, isn't it cute!! I covered the design with white stamping ink then I had a play with my Twinkling h20s and toning it, then I added in some stamping texta for more shadowing. I paired this guy up with Clouds.